Osaka has long been a great center of commerce and activity, but likely doesn’t stand out as a major brewing center in the minds of most people. True, it has never been nearly as significant as its Kansai cousins — Kyoto, Hyogo and Nara — but the sake brewing culture was, and still is, strong there. Osaka has historically been blessed with clean water and good rice. Things today are certainly not what they were hundreds of years ago, for either water or rice. But long ago water in Osaka was good all around, and tiny breweries existed (either officially or otherwise) in abundance, especially in Kawachi, Ikeda and Izumi. When Toyotomi Hideyoshi built Osaka Castle, Osaka consumerism boomed as it grew into a true castle town. Naturally enough, so did the demand for sake. Sake production in those three areas took off. At one point there were 38 sakagura (breweries) in Ikeda alone. Hideyoshi was known to be fond of a sake called Amano-zake, brewed in a temple named Kangoji on Mount Amano. 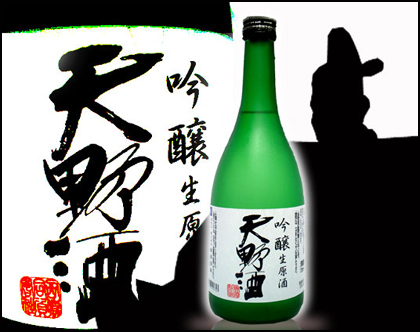 It was (and still is) brewed using koji that is much further along in its starch-to-sugar converting than koji used in normal sake. Amanozake is darker, mustier, sweeter and more tart than modern sake. One Osaka sake, which uses the brand name Amanozake, re-creates the original style in a sake they call their Amanozake Boso-shu.
. Sake ... Jizake local rice wine . 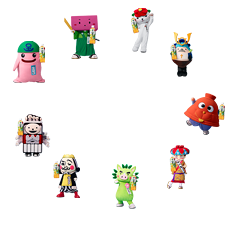 they are introduced via their tea mascots ! 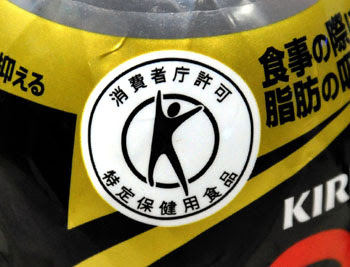 Kirin Beverage Co.'s hit beverage Mets Cola has gained Consumer Affairs Agency recognition as "tokuho," which is short for "tokutei hokenyou shokuhin," or foods with special healthy qualities. Cola drinks are generally not believed to contribute to good health, but consumers have snapped up Mets Cola because of its official distinction. What is the origin of the tokuho status? The health ministry began in 1991 attaching tokuho status to certain foods and drinks to promote their healthy qualities, including ingredients that are high in fiber, good for digestion or help slow tooth decay. By cluing consumers in to food items that promote health, the government hoped to also mitigate the nation's future health insurance burden, said Akira Yabuki, a director at the Japan Health & Nutrition Food Association, which is run with funds pooled from member companies — mostly food and drink makers. Since September 2009, when the Consumer Affairs Agency was created under the health ministry, the agency has taken over the role of granting tokuho status. How has the tokuho product market been growing? Products given the status have seen a consistent increase, reaching 1,000 in May. Included among them are Lotte Co.'s Xylitol gum, which boasts the ability to protect teeth from cavities, Otsuka Pharmaceutical Co.'s fiber-rich drink Fibe-Mini, which aids digestive organs, as well as yogurts and many kinds of oolong and green teas. Tokuho-status product sales amounted to ¥679.8 billion in 2007, but have declined since then and stood at ¥517.5 billion in 2011, according to the association, which compiles data in odd-numbered years. The sales decline can be attributed in part to the 2008 financial crisis as well as product development that was put on hold because the Consumer Affairs Agency was planning to change the rules on tokuho recognition, Yabuki said. With new rules in place, the development of tokuho products has gotten back into full swing, he said. How is tokuho status earned? To obtain the status, food and drink makers must conduct various experiments to demonstrate the healthy effects of their products. Afterward, the Consumer Affairs Agency must review the results of these tests and issue its judgment accordingly. 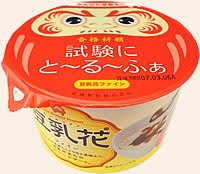 If the product experiment documents pass muster, the manufacturers will be authorized to attach the tokuho designation and list the specific health-supporting ingredients on their labels, Yabuki said. The manufacturers have to test their products on individuals. In the case of Mets Cola, Kirin Beverage divided 82 people with no significant health problems into two groups. One was served Mets Cola, which contains indigestible dextrin — a nutrient that restricts the rise in body fat after a meal — while the other group drank cola that did not contain the substance for a day, Kirin Beverage spokesman Mitsutake Matano said. A week later the two groups reversed roles for a day. Afterward, the subjects were tested for the density of fat in their blood, Matano said. Overconsumption was also gauged for any harmful effects. For example, manufacturers conducted experiments in which people consumed triple the amounts of food or drinks to determine if such activities posed damage to health, Yabuki said. "Tokuho products can be useful in maintaining your health, but that may not be the case if one binge eats and drinks," Yabuki said. The Consumer Affairs Agency reportedly issued Suntory Holdings Ltd. a warning to halt a TV commercial pushing Suntory's black oolong tea because the ad could mislead consumers into believing they did not have to be careful about what they ate as long as they drank the company's product. What nutrients will the Consumer Affairs Agency let makers boast on their products as promoting health? Diacylglycerol and other nutrients that make it difficult for fat to be stored in the body can be listed on product labels, according to the website of the Tokyo Metropolitan Government's Bureau of Social Welfare and Public Health. Other nutrients listed include bifidobacteria, chitosan and L-arabinose, which can lower blood pressure, blood sugar and cholesterol. The Mets Cola label says its indigestible dextrin restricts absorption of fat and increases the excretion of fat. The Consumer Affairs Agency does not disclose the specific components, only the products granted tokuho recognition, agency official Noriko Yokota said. She added, however, that the information on the metro government's website is correct. How popular is Mets Cola? Between April 24, when Kirin Beverage began selling 480-milliter bottles, and the end of May, 1.5 million cases, or 36 million bottles, were sold, company spokesman Mitsutake Matano said. This compares with the 30 million cases of Pepsi cola sold last year, of which 20.95 million were the zero-calorie Pepsi Nex, said Midori Takahashi, a spokeswoman at Suntory Holdings Ltd., the parent of Nihon Pepsi Cola Ltd.
A case basically can mean 24 250-ml cans or 6 2-liter bottles. Kirin Beverage has sold Kirin Cola only in vending machines since June 2010. It sells no other kinds of cola, and the product is nowhere near comparable with Mets Cola, Matano said. Why is Mets Cola doing so well? Cola drinks in general are popular worldwide, even if they generally are not associated with the promotion of health. Throwing in the tokuho component only lends to the boom, Yabuki said. "People have the impression that cola has lots of sugar, and thus tokuho cola has had a big impact on consumers," he said. The TV commercial for Mets Cola using characters from the popular boxing "anime" series "Ashita no Jo" also gives the product added punch, he said. How will future tokuho products evolve? Tokuho status has been granted to many kinds of tea, which even before such designation attracted health-conscious consumers, Yabuki said. "I expect diet-related tokuho products will continue to grow. Also, makers will probably take new directions, including foods and drinks that promote healthy skin," he said.
. . . CLICK here for Photos of more products! Can Suntory Get ‘Stones Bar’ Satisfaction? According to drinks maker Suntory Liquors Ltd., plenty. 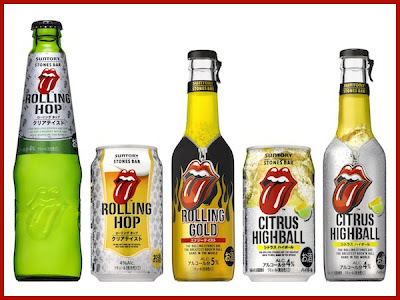 And in case drinkers were in any doubt, Suntory has lined up a new ploy to convince them: A “Stones Bar” series of specially themed alcoholic beverages stamped with none other than the iconic Rolling Stones lips and tongue logo on “stylishly designed” bottles and cans. The beverages are designed to appeal to younger consumers, still developing a taste for beer, with a less bitter taste and an alcohol content of between 4% and 5%, noticeably lower than Japan’s mainstay brews. The “Rolling Hop,” for example, has a 4% alcohol content and is more carbonated than normal. In a 2010 online survey, both men and women in their 20s were less likely to drink “almost every day” than middle-aged respondents. But Suntory’s own research suggests that Japanese in their 20s are now spending more money on alcohol, at least 17.8% reporting that they had increased the amount they spent on booze, as well as more of the sweeter, less alcoholic beverages. In fact, like a range of similar drinks in Japan, the “Stones Bar” products aren’t regular beers that contain malt, nor low-malt alternatives: Falling into what’s called the “third beer” category, they contain no malt at all, but are designed to taste like beer, and were developed by Japan’s brewers in an attempt to offset a slow decline in the sale of traditional beers. The line also includes ready-to-drink cocktail beverages, which promise gin or whiskey flavors without the high alcohol content. 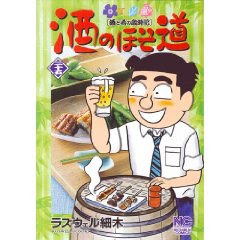 Of course, it’s tough to keep track of all the gimmickry, including links with rock and pop stars, that has been wheeled out by brewers in Japan and elsewhere in attempts to persuade picky consumers to choose their brand. Just last year, in arguably one of the least likely hookups, the all-but-forgotten mid-90s American pop sensation Hanson resurfaced when the band said it plans to launch its own “Mmmhop” Indian pale ale, named after the “Mmmbop” global smash, according to reports from the U.K.
With a combined age of 272, the four principal members of the Rolling Stones are, of course, well beyond Suntory’s target demographic for the “Stones Bar” line. A Suntory official said that while the band may be aware of the use of the logo, they haven’t made any official comment. But then the lip and tongue image is actually owned by Universal Music, with which Suntory negotiated the rights for the “Stones Bar” label. Suntory declined to comment on the amount paid to use the logo. In any case, fans of the band and “third beers” alike will have to wait to get some satisfaction: the drinks don’t go on sale until June 19. It contains the rice of about one onigiri riceball, ca. 50 g, in liquid form, for easy consumption in summer. One bottle contains 200 ml and has 140 kcal. This drink can be used for a quick breakfast, for the elderly, for children, before or arfer sports, and so on. 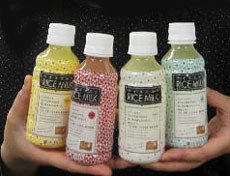 If it becomes a hit, it might help reduce the stored rice of Japan. 木徳神糧株式会社 from Kitoku Shinryo Co.
From Kurume Town, Fukuoka Kyushu. An old winery ワイナリー has started to test various fruit of the region to make deliciuos wine. 林田伝兵衛 Hayashida Denbei is the main soul behind this project. rather big, round and very sweet. They are a new variety of the area. They are also used for various types of sweets and pies. When made from Amao strawberries, the stems are also used, to give it some extra strong taste. 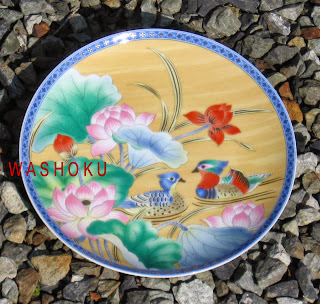 This is also produced in other regions of Japan. This is rater bitter and more of a medicine. But certainly good for your health. from seasonal mixed vegetables, like carrots, radish, shiitake in winter. Via Korea the production of milk, butter and even cheese (so 蘇 ) was known before the Heian period. But when Shotoku Taishi elevated Buddhism and meat was forbideen to eat, the production stopped. The 7. 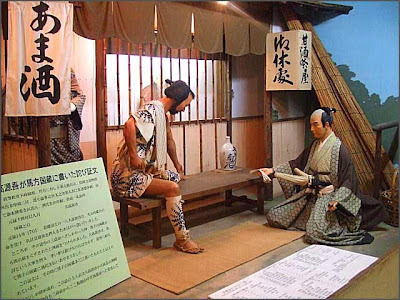 Shogun Yoshimune sponsored the import of cows from India and the daimyo Satomi in Chiba supervised the production of dairy products as a kind of medicine. Maeda Tomekichi was the first to sell fresh milk in Yokahama around 1863, having studied from Holland how to handle cows. Since the Meiji period, Hokkaido became the center of dairy products, thanks to its vast grazing grounds and fresh water. Holstein cows are most popular and produce about 8000 kg per year each. The village Tsuruimura 鶴居村 （つるいむら） was the first "cow village" in Kushiro, Hokkaido.
. daigomi 醍醐味 "taste of Daigo" ghee butter . Still practised in many parts of Japan. There are special boxes to put the milk cartons in. There is one for the milk in most homes. Often sold in round tin boxes. The toast bread is usually quite thick. A common snack at a cafeteria, also for breakfast. Most of the Japanese butter comes from Hokkaido. 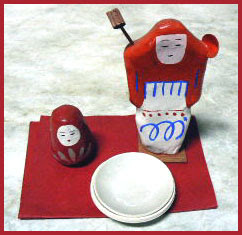 The ministers greet visitors in their own homes (omoya) and have a feast. The most important visitor is called 尊者 sonsha. 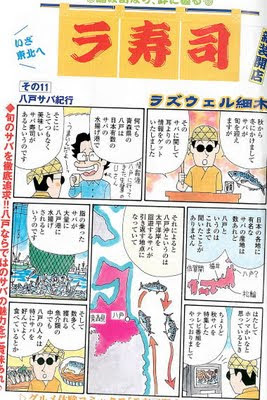 On this day an envoy from the imprial court, 蘇甘栗使 soamaguri no tsukai, is also welcomed. He brought an old version of butter, 牛酪 gyuuraku, and dried chestnuts kachiguri 搗栗. 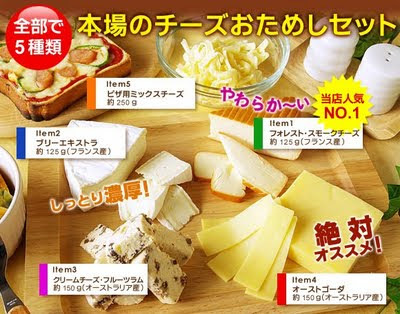 Cheese is imported from other countries, but also made in Japan. "from the Milk Fields of Mount Daisen"
When first introduced to Japan, it was not well liked because of its sourness. 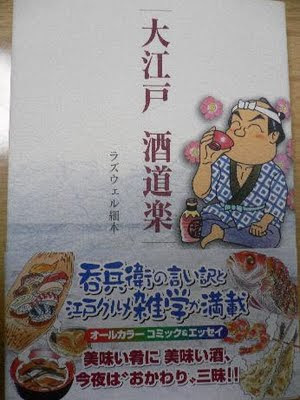 Akutagawa Ryunosuke wrote about it, to promote the milk of his fathers farm, but it was not well liked. Then at the World Exhibition in Osaka in 1970, the real Bulgarian Yoghurt was introduced and soon became a hit. It comes in different flavors. Yoghurt mixed with miso paste, vinegar and other nuta ingredients. a semi-hard cows’ milk cheese from Sweden. "The Narrow Roads of Ricewine"
He walks along small roads in Japan (like old Basho), meets people, visits various restaurants, samples seasonal food, gives recipies and finishes with a haiku. Each episode is about 4 - 6 pages long.
. . . CLICK here for Manga Photos ! Rozwell Hosoki was born in 1956 in Yamagata. He was a student at Waseda University in Tokyo. 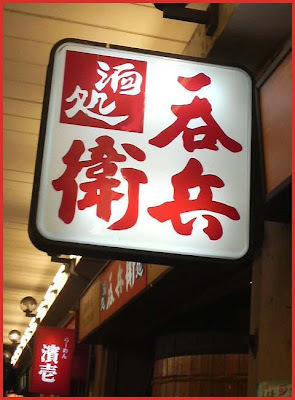 He visits local izakaya, talks to the proprietor and other guests, samples drinks and food and ends up in a small street, reciting a haiku about the evening. ***** . Matsuo Basho 松尾芭蕉 - Archives of the WKD . Hokku about sake and drinking by the Master himself! ***** . Oku no Hosomichi - Matsuo Basho . The Japanese puppet theater has a long history. Here first are some dishes in its memory. 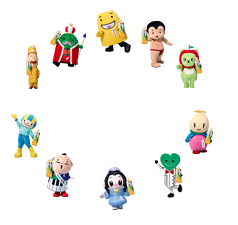 The Tayu 太夫 narrator has to act all the persons of a play, from young children to wailing mothers, lost lovers or desperate villains, and does it in such a perfect way that the audience is captured to tears by his recitation. It takes long years of practise to become a Tayu, often a family tradition. Just to be able to sit for long hours during the play takes years of practise. He reads form a special script with indicators of how to use the voice in a certain situation, most of these books are secret family treasures. 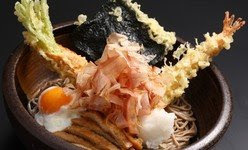 A new menu item for the Bunraku season, with seven toppings for good luck. Bunraku, also known as Ningyō jōruri (人形浄瑠璃), is a form of traditional Japanese puppet theater, founded in Osaka in 1684. Occasionally other instruments such as taiko drums will be used. The most accurate term for the traditional puppet theater in Japan is ningyo joruri. The combination of chanting and shamisen playing is called jōruri and the Japanese word for puppet is ningyō. Bunraku puppetry has been a traditional activity for Japanese citizens for hundreds, even thousands of years. For many it is something which is of great excitement and something which ties younger generations to the ways of the past in Japan. Originally, the term "Bunraku" referred only to the particular theater established in 1872 in Osaka, which was named the Bunrakuza after the puppeteering ensemble of Uemura Bunrakuken(植村文楽軒), an early 19th century puppeteer on Awaji, whose efforts revived the flagging fortunes of the traditional puppet theater in the 19th century. The later prominence of the National Bunraku Theater of Japan, which is a descendant of the theater founded by Bunrakken, has popularized the name "Bunraku" in the twentieth century to the point that many Japanese use the term to refer generically to any traditional puppet theater in Japan. Bunraku puppets range in size from two-and-a-half to four feet tall or more, depending on the age and gender of the character and the conventions of the specific puppet troupe. The puppets of the Osaka tradition tend to be somewhat smaller overall, while the puppets in the Awaji tradition are some of the largest as productions in that region tend to be held outdoors. The heads and hands of traditional puppets are carved by specialists, while the bodies and costumes are often constructed by puppeteers. The heads can be quite sophisticated mechanically. In plays with supernatural themes, a puppet may be constructed so that its face can quickly transform from a nice lady into that of a fearful demon. 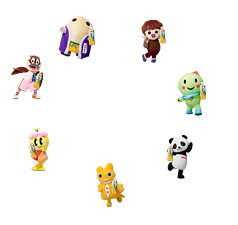 Less complex heads may have eyes that move up and down, side to side or close, and noses, mouths, and eyebrows that move.
. Kubi ningyoo 首人形 head dolls . It started in the ninth century as a dance to avoid earthquakes. Then it was performed in Noh, Kyogen and even Kabuki.
. Sanbasoo　三番叟 Sanbaso Dancers . The was a narator and reciter of Joruri and began the Tokiwazu-bushi in 1747. He lived in the 檜物町 / 檜物丁　HimonoCho District in Edo. Tokiwazu-bushi is generally abbreviated as "Tokiwazu." Tokiwazu is a school of 浄瑠璃 Joruri, and originated in 豊後節 Bungo-bushi, founded by Miyakoji Bungonojo. Bungonojo was extremely popular in Edo, but because his works were mostly Michiyukimono (lovers traveling together) which culminated in double suicide, Bungo-bushi was banned by the Tokugawa Shogunate for the reason that Bungo-bushi corrupted public morals. 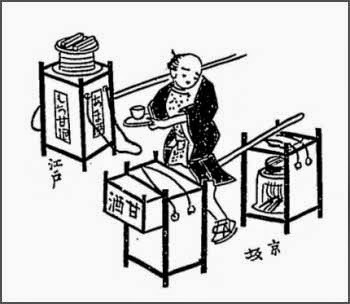 After Bungonojo left Edo, Mojitayu an apprentice of Bungonojo, founded Tokiwazu-bushi. In Kabuki, Tokiwazu is mainly responsible for Degatari (onstage performance) as the accompaniment for Buyo (dance). Tokiwazu group consists of reciters called Tayu, and Shamisenkata (shamisen players). The shamisen used are chuzao (medium-neck). The distinction of Tokiwazu-bushi is that it is slower-paced and more solemn than Kiyomoto music. Tokiwazu is a style of Joruri narrative music that is used in the Kabuki theater for dances and dance plays. It never appears with puppets. There are several styles of singing that ultimately derive from a style called Bungo Bushi. 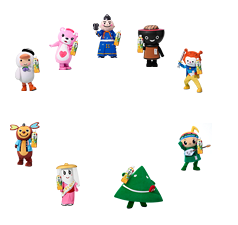 These styles include Tokiwazu, Tomimoto, Kiyomoto and Shinnai. Of these styles, Tomimoto has virtually disappeared and Shinnai almost never appears in the theater. So Tokiwazu is the oldest of the Bungo Bushi styles performed in Kabuki today. 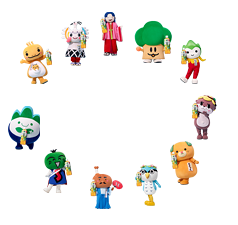 Technically Tokiwazu, Tomimoto and Kiyomoto are much the same, but they differ in atmosphere since their repertory reflects the tastes of the ages that produced them and the personalities of the singing stars that originally performed them. Bungo Bushi takes its name from Miyakoji Bungo-no-Jo who traveled from Kyoto to Edo, and became famous for his beautiful voice and fashionable clothing. He appeared in Kabuki, and seems to have mostly performed love suicide plays that were reworked versions of masterpieces by Chikamatsu. But love suicide plays were banned by the shogunate and, broken hearted, Bungo-no-Jo returned to Kyoto and in 1740, soon died. Tokiwazu began when one of Bungo-no-Jo's students who remained in Edo began performing under the name Tokiwazu Mojitayu (1709 - 1781).
. Himonochoo　檜物町 HimonoCho District in Edo . is a kind of traditional Japanese music which accompanies the kabuki theater. It was developed around 1740. 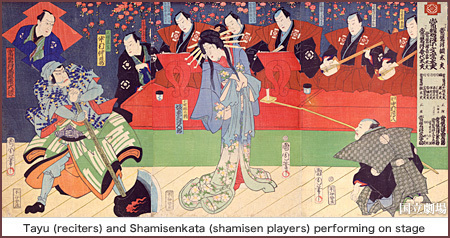 Influences included the vocal yōkyoku style used in noh theater, and instruments included the shamisen and various kinds of drums. The shamisen, a plucked lute with three strings, is a very popular instrument in nagauta. Nagauta performers generally play the shamisen and sing simultaneously. Nagauta is the basis of the Nagauta Symphony, a symphony in one movement composed in 1934 by composer Kosaku Yamada. puppet theater performance, often by laypeople, outside in the cool evening air. Ihara Saikaku 井原西鶴 (1642-1693), August 10 according to the old calendar. author of many ningyo joruri plays. On November 22 of the old calendar.
. . . . . fresh clear water ! WASHOKU : Natural Ice for your drinks ! Kama . Kettle, tea kettle (chagama, tetsubin) Water kettle, water pot. 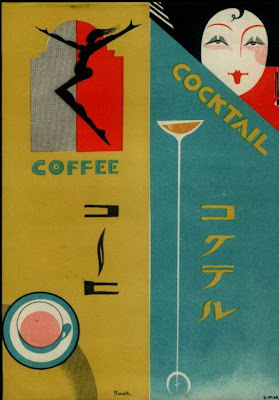 shirozake 白酒 (しろざけ) "white ricewine"
The site contains images of graphic designs used in Japanese advertisements during the 1920s. Most cold and iced drinks can be kigo for your area. Drinks can come out cold of the refrigerator or be cooled with ice cubes. Ice cubes are used all year round, but in summer they are "at their best", showing us the changes of the season, so to speak, as they melt. 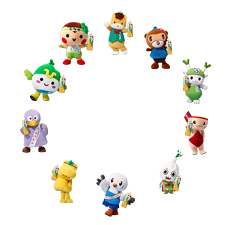 After summer, they have to wait for three seasons to be back in full swing as a kigo for haiku, just like cherry blossoms. The green tea from last year. It has a different taste from the new one and is loved by many. In the tea ceremony it is often used for a ceremony to celebrate the last use of the furo hearth for summer, furo no nagori　風炉の名残. for the Boy's Festival . Prepared from the roots of iris, it is said to have medical properties. The custom comes from China. JIZAKE, a local rice wine. 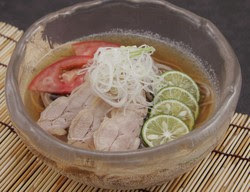 This is a speciality from the old Tango and Higo provinces (Oita and Kumamoto in Kyushu), the old Hiji Han 日出藩（ひじはん）. 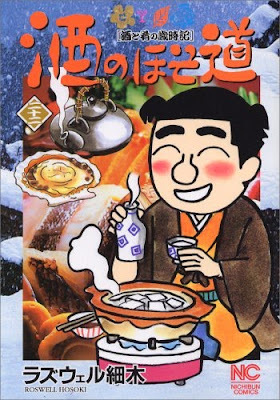 Prepared in winter, partly with glutinous rice (mochigome) like amazake. The barrels are then burried in the earth in a hemp field until next summer. Once a young monk burried some sweet amazake to drink it secretly later, and it turned out to gain in flavor over time. The lord of the domain heared of this sweet drink and made it a speciality of his area. This famous drink was even presented to the Shogun in Edo. a speciality of the Kansai area, where people take them in the mouth to cool down. Made from fermented glutinous rice gruel and yeast, letting it ferment for about six to eight hours. Its alcohol content is quite low, therefore it is a favorite with the ladies of my neighbourhood. 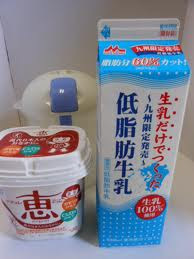 They also use the amazake mix we can by at the store to make soup or boil chicken and vegetables in it. 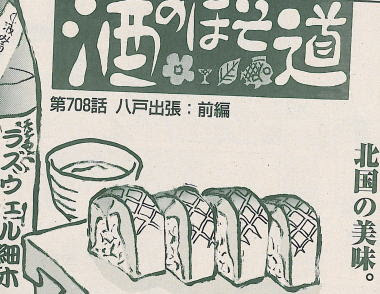 The basic recipe for amazake has been used for hundreds of years. Kōji is added to cooled whole grain rice causing enzymes to break down the carbohydrates into simpler unrefined sugars. As the mixture incubates, sweetness develops naturally. Amazake can be used as a dessert, snack, natural sweetening agent, baby food, salad dressing or smoothie. The traditional drink (prepared by combining amazake and water, heated to a simmer, and often topped with a pinch of finely grated ginger) was popular with street vendors, and it is still served at inns and teahouses. Many Shinto shrines provide or sell this in the New Year. In the 20th century, an instant version became available. Amazake is believed to be very nutritious, with no additives, preservatives, added sugars or salts. 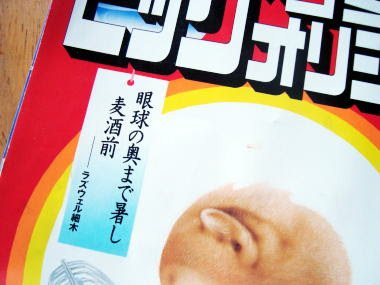 Outside of Japan, it is often sold in health food shops. It is often considered a hangover cure in Japan. It was well liked in Edo, since it provided liquid and some calories for the weary body in the humidity of the Japanese summer. It was usually sold during the daytime, not considered a night drink. The vendors carried a large iron Kettle and could make fire to warm it up. There was a famous amazake chaya 甘酒茶屋 at Hakone pass.
. - Masaoka Shiki 正岡子規 - .
. kangiku ya amazake tsukuru mado no saki .
. amazake densetsu　甘酒と伝説　Legends about Amazake . Even our small town of Tsuyama has its own local beer and a beer festival in the shopping street in summer. It was custom to give water to strangers who where passing on the road in summer. Some people heat the sake just a bit to prevent a headache the next morning, this is also called "cold". It is best when served at room temperature, but lately "on the rocks" is popular too. There are a variety of small glasses for the summer consumption. Hyooka 氷菓 (ひょうか) "ice and cakes"
There are some special flavors for soft cream, using the local produce. In Aomori at Osorezan, there is soft cream with yomogi (mugwort). It looks quite green and delicious. On the Oga peninsula in Akita, there is soft cream with corn (toomorokoshi). Boiled and mixed with sugar, then cooled and served with ice cubes. Arrowroot has medical properties to help with summer problems of the heat and prevents heavy sweating. Rice wine prepared in winter is heated up to 60 degrees centigrade, to make it last during the hot summer. It is then filled in pine barrels and gives a pleasant smell to the sake brewery. After heating the rice wine is not called SHIN, new, any more, but KO, old 古酒.